From the beginning, we have loved working with our Napa Valley winery partners. We continue to seek out the new classics, the cults, and the lesser-known sub-AVAs that make Napa Valley special. 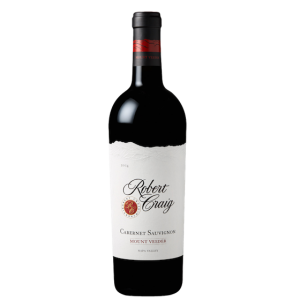 With that in mind, we are pleased to announce that we now represent Robert Craig Winery in Ontario! Robert Craig Winery is all about mountain fruit. The winery is located near the top of Howell Mountain, and they celebrate the great mountain appellations of Napa Valley in everything they do. They also work with a vineyard on Sonoma Mountain that produces some of the region’s best Chardonnay fruit. The winery was founded over 30 years ago. From the start, their philosophy is that wines should be made with minimal intervention so that unique vineyard qualities are displayed in the finished wine. Distinguished by concentrated varietal character, gorgeous bouquet, and intense fruit flavours, these wines are balanced, integrated, and luscious upon release, yet offer great potential for long-term ageing. Let me know if you’d like to secure any of the wines. A few of them are in limited supply and will only be offered for a short time. I’m always happy to “chat wine”. 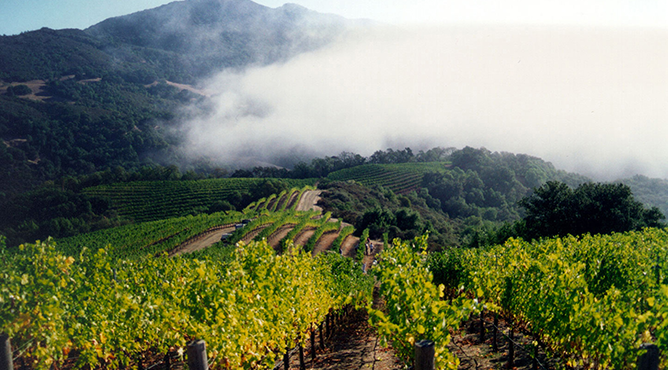 The 138-acre Gap’s Crown Vineyard is situated toward the southern end of Sonoma Mountain on the west side. This part of Sonoma is known as the Petaluma Gap. It’s a fog and breeze pocket that is unique to the Sonoma Coast where cold Pacific air is drawn into the valley, providing a cool growing environment bathed in California sunshine. It is a perfect place to grow vibrant, crisp, mineral driven Chardonnay. Many of California’s top wineries work with Gap’s Crown fruit: it is a hillside vineyard with extremely stoney soils, and the Chardonnay grown here is particularly intense. This is a non-malolactic Chardonnay, aged for only six months in a combination of 40% stainless steel tanks, 50% used French oak barrels, and only 10% new French oak. It is all about acidity and briskness, bright aromas of apples, pear, peach, and citrus. The minimal oak treatment means the complementary aromas of brioche and baking spice are subtle. The 2014 Napa Valley Cabernet Sauvignon is a blend of fruit from the winery’s estate vineyards. It is supple and powerful, filled with notes of espresso, graphite, fresh red cherry, grated nutmeg, and toasty oak. This Cabernet will show beautifully in its youth thanks to the addition of 10% Merlot, 8% Petite Verdot, 4% Cabernet Franc, and 2% Malbec. While this may be the winery’s most accessible Cabernet Sauvignon, decanting it is still recommended; the 2014 is still a “classic” age-worthy Napa Valley Cab! Affinity is a 100% estate-grown, single-vineyard bottling from La Londe Vineyard. This is an estate-owned and -farmed vineyard in the Mt. George foothills just south of Stag’s Leap District. The vines here are 30 years old and bear only 2.8 tons per acre. This is intense benchland fruit with a palate driven by the volcanic soil. 2014 was a fabulous vintage in Napa Valley, long and moderately warm. 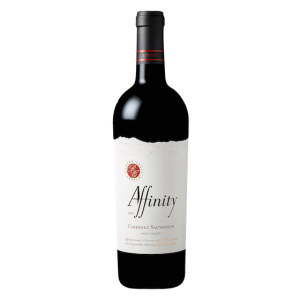 The 2014 Affinity has tremendous density, depth, and concentration, with opulent black raspberry and blackcurrant flavours and aromas of licorice, incense, and spice box. In 1990, Robert Craig consulted on the development of actor Robin Williams’ 26 acre Pym Rae vineyard. It is an exceptional site, one of the highest on the mountain, with distinctive blue shale subsoil and shallow, sandstone topsoil. The mature vines have driven their roots deep in search of nutrients, and you can feel that minerality in the wine. The 2014 is the second-last vintage that will be produced in this vineyard. The Tesseron family of Château Pontet-Canet are now proprietors, and they will not be selling the fruit. There must be something magical in that soil! The 2014 is a huge wine. Masses of dark blue fruit, lavish oak, rich tannins, lots of palate weight and power. It is long and intense and straight-up killer value! It is one of the best buys I have come across for this kind of pedigree and intensity. The vineyard is pictured below. The winery owns and farms two vineyards on Howell Mountain: the 30-year-old estate vineyard at 700 metres above sea level, and the famed Candlestick Ridge vineyard at 680 metres (acquired in 2015). The estate vineyard is composed of red volcanic and tufa limestone soils, which give this fruit a wild brambly, spicy, stoney character. Candlestick Ridge is pure white volcanic ash and tufa limestone. Situated on the north end of the Howell Mountain summit cap, this 26 acre vineyard rests on a plateau overlooking the southeast face of Mount St Helena and the whole of Pope Valley. It was first planted in 1950, then replanted in 1998 by Duckhorn Wine Company. The lean, well-drained soils grow dense, dark, intensely-flavoured berries. This wine showcases loads of mountain berries, black currant, and a dusty earthiness on the nose. The palate is flooded with black cherry, blackberry, black plum, cocoa, and mocha. It is a chewy powerhouse of a wine. Fruit for this gorgeous mountain Cabernet comes from Joan Crowley’s vineyard. It’s biodynamically-farmed jewel of a site rests on the summit ridge of Spring Mountain, just before the Sonoma County border. 2014 was spectacular on Spring Mountain, and the resulting wine is rich in fruit: blueberry, blackberry, and huckleberry, all amplified by a violet perfume. In the glass, it is a rich embodiment of Spring Mountain, with round tannins and opulence to spare. Of all the Robert Craig mountain Cabernets, this Spring Mountain remains the most approachable upon release, though it will happily develop for five to ten years if properly cellared. Perched 730 metres above the valley floor is one of Napa Valley’s reference point vineyards: Black Sears. With 24 planted acres, it is the highest vineyard on Howell Mountain and one of the highest in all of Napa. Robert Craig’s Howell Mountain vineyards literally surround Black Sears. 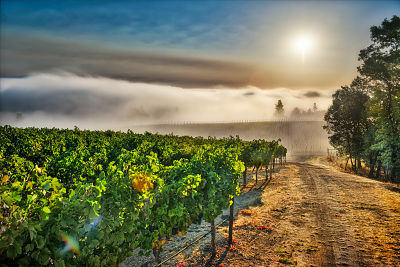 The ashy, iron-laden soils are perfectly-suited to growing full-bodied, peppery Zinfandel, and the unique climate of Howell Mountain produces wines with firm structure, intense fruit flavours, earthy spice, and mellow acidity. The 2014 shows what Zinfandel can do on Howell Mountain in a great year. It is extremely dense, with great power and depth. It’s worth noting that this wine will really start to sing with five or more years of bottle age.